Kenya is a country in East Africa with coastline on the Indian Ocean. It encompasses savannah, lakelands, the dramatic Great Rift Valley, mountain highlands and abundant wildlife such as lions, elephants and rhinos. Its population is 44 million people and GDP per capita of USD 1,245. With a population of over 43 million, Kenya is the biggest and most advanced economy in East and Central Africa. It has a robust national response to HIV with strong grassroots community-based work including empowering women, fighting stigma and discrimination, and provision of psychological support. Innovative approaches are used to target young people to create awareness and network outreach. HIV counseling and testing, and prevention of mother-to-child transmission interventions have increased significantly. 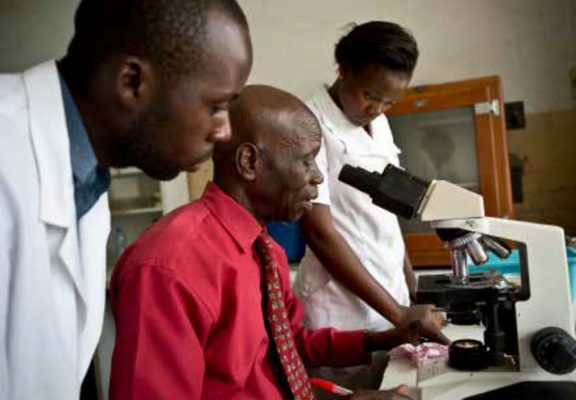 Kenya is one of the 22 highest TB burden countries worldwide, but has a strong TB program and has achieved WHO targets for case detection and treatment thanks to its committed health facilities and community health workers. Challenges remain in improving laboratory capacity and strengthening multidrug-resistant TB treatment. Malaria continues to be a leading cause of morbidity and mortality in the country, although there has been a steady decline in prevalence thanks to the rapid scale-up of interventions on diagnosis and case management. Skills development opportunities at AHO. High infestation/threat of malaria outbreak. Implementation and enforcement of laws. Increased mortality rates due to cancer, hypertension, and diabetes. High prevalence of obesity in the 0-5 years age group. Support provided to plans, projects, and policies to strengthen AHO’s capacity to monitor and improve the quality of health care. Support provided for the adoption of plans, policies, and projects to strengthen the organisation’s human resource capacities. Support provided for the introduction of health financing models, methods, and mechanisms. Program implementation, and monitoring and evaluation mechanisms in place. Plans, projects, and policies developed to sustain implementation of healthy community and health promotion initiatives. To develop and implement the national CNCD program. Support provided for the introduction of plans, policies, and projects for the improved and effective management of selected CNCD (diabetes, hypertension, and selected cancers). Support provided to methods, models, and technologies for developing national screening programs for diabetes, hypertension, selected cancers, and obesity. Methods, models, and technologies introduced to improve compliance by users and providers. Plans, policies, and projects introduced to reduce the prevalence of obesity in children from 0 to 5 years old. Support provided to plans, policies, and projects to improve enforcement mechanisms. Support provided to policies and plans to strengthen institutional capacities in monitoring and surveillance. Public awareness and education program strengthened to address vector control. Support provided to plans, policies, and projects to improve systems for testing and monitoring the emergency management plan.